Just because the same factual inaccuracy is repeated hundreds of times does not mean that the factual inaccuracy is any less false. The language that you used from conservapedia is repeated verbatim on hundreds of other sites. However, that language proved nothing the first time. Would repeating it 50 times make that language actually prove something? And...just because people like you say it ain't so a million times does not mean anything. For your information the law firm has been engaged numerous times to respond to lawsuits and allegations pertaining to Obama's eligibility, thus it would only be reasonable to think the law firm charged for their legal work. Again, it's not whether $1 was spent or $1 Trillion was spent, the fact remains that Obama does NOT want facts about his eligibility to be made public. That is a fact... Why? Typical birther tactic. Avoid the debunking, pretend it didn't happen, and move on to your next recycled birther talking point. Why didn't you try to address either of these points highcotton? That wasn't my question. Do you think the Kenyan birth certificate that you linked to might be the "smoking gun?" Did you bother to check your facts before you posted that list? Were you lazy and just posted whatever somebody else had already written for you, or did you post it knowing that it was full of crap and hoped that nobody would notice? Typical left-wing liberal tactics on your part. You know full-well he NEEDS to hide facts about himself that would make his presidency the biggest scam in the history of this country. The TRUTH will eventually come out. It always does! Donald Trump, who has been making television appearances calling for President Barack Obama to release his official birth documents, on Monday released his birth certificate exclusively to Newsmax. “It took me one hour to get my birth certificate. It’s inconceivable that after four years of questioning, the President still hasn’t produced his birth certificate. I’m just asking President Obama to show the public his birth certificate. Why’s he making an issue out of this?" His BC turned out to be a non-official copy . I have looked everywhere for Trump's official certificate, but I just can't find it. I think he was born in mongolia. 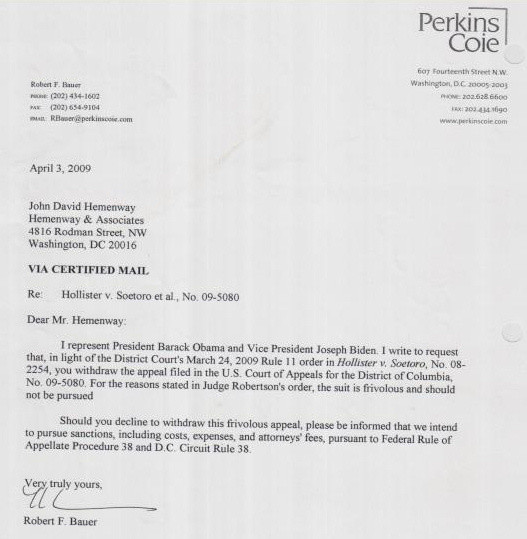 Last edited by Finn_Jarber; 03-31-2011 at 10:52 AM..
Obama's birth certificate, which is prima facie evidence in any court of law, has been posted on his website. No, it hasn't actually. He posted his certification of live birth. That is not a birth certificate. There are important differences in the two, and even the state of Hawaii acknowledges that. And that fact that the Obama administration is playing games with this makes it suspicious. Let's put aside claims of party politics, accusations of racism, or whatever other prejudices people have against or for Obama. Can we agree that the way to settle this argument is for the President to present the birth certificate? And even if you want to claim the certification of live birth is valid, there are both in existence. Would we agree that the way to close this story with showing both of them? For the record, I believe Obama was born in the US and is our President legally. But, in a broader context, I have to show 4 separate pieces of ID just to register my car. Hence, anyone who wants to be President should have to go through an as thorough if not moreso process. And yes this goes for any candidate in any party of any race, color, creed, etc. Obama has only provided a birf certificate. thus it would only be reasonable to think the law firm charged for their legal work. Kreep has been battling Obama's California lawyer, Fredric Woocher, to release the president's records from Occidental College on the theory that they might provide information about his citizenship. Woocher has threatened to seek sanctions against Kreep for pursuing the case. "This suit, like all of the others that have been filed challenging Obama's qualifications for the Presidency, is frivolous," he said in an email to POLITICO, adding that he is, in fact, working pro bono. "There is absolutely no truth to the stories about the untold millions supposedly being paid to us," he said. Again, it's not whether $1 was spent or $1 Trillion was spent, the fact remains that Obama does NOT want facts about his eligibility to be made public. That is a fact... Why? Now you're changing your story. You're the one who has alleged that Obama has spent millions, and that "some have estimated" $3 million. Who has estimated that? On what basis? The fact remains that Obama got birther suits dismissed because every last one of them have been entirely frivolous. Why would he fight these suits? - Because it's always cheaper to get a suit dismissed at the pleading stage than to go through discovery. - Because there is not one birther suit that would have been satisfied with any release of documents. Every last one had backup theory after backup theory. - Because birthers make the GOP look like clowns. Birthers very well may have cost Rep. Castle the Senate nomination in Delaware, costing the GOP a Senate seat in the last election. Why stop that now? Obama's birth certificate that he posted online is prima facie evidence of the facts contained in any state or federal court in the country. It is sufficient for a passport. It's the only form of birth certificate that Hawaii has produced for about a decade. What a coincidence then that all this stuff happened to turn up only upon the nomination and election of the first black president then, eh? President Obama is the only president in US history to have publicly disclosed their birth certificate. Just because conspiracy theorists refuse to accept it and disrespect the constitutional right of Hawaii to form their own birth certificates, doesn't mean that there actually is something to this crap. For the third time highcotton, do you think that "is this the smoking gun" Kenyan birth certificate you linked to is legitimate? YES OR NO?